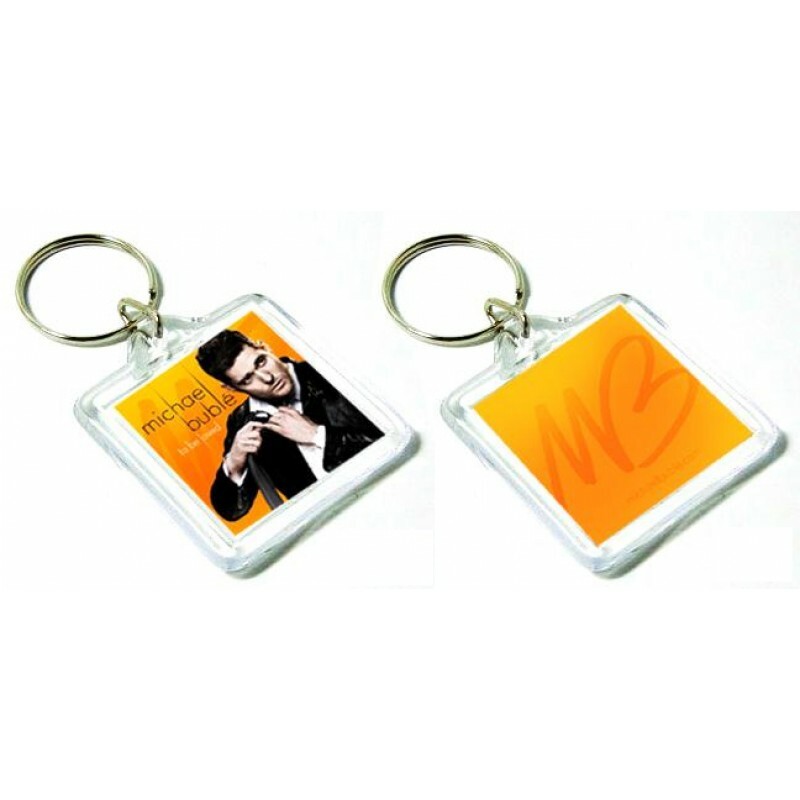 Michael Bublé To Be Loved keychain features the latest album artwork on the front, and Michael Bublé insignia on the back. - Clear acrylic outer cases houses paper artwork. - Metal chain and loop.